Moving a whole home worth of possessions to a new house is a much harder job than it first appears. Even with a truck that is plenty big to hold all of your things, you will still need to get everything up into the truck, pack it properly, and unload it at the new place. As you drive across Miami to your destination, you will have to hope that you have packed well enough to protect your items and not have anything fall or break along the way. 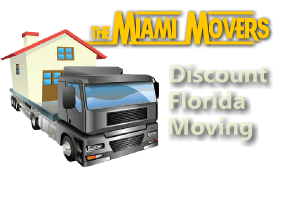 Hiring a moving company with experience in Miami is preferred because they know how to pack their trucks to protect items and get them safely to the new home. Your possessions come in all shapes and sizes, so it is difficult to arrange them correctly inside the back of a large truck so that they don’t move around and crash into each other. You don’t want to learn this lesson the hard way, so trust the professionals with a Miami moving company to do it for you. Even if you are able to use a rented truck to complete the moving process, it is certainly going to take you longer on your own than it would with the help of professional movers. That means that you might need to take extra time off work, which would negate any money you saved by renting a truck in the first place. Your time is valuable, and a Miami moving company can help you save time by getting the move completed quickly. It is tempting to save a few dollars by just renting a truck instead of using a moving company, but it just isn’t worth it in the end. The money you save could end up being wasted in time that you have to take off work, or broken items that you have to replace because they weren’t packed correctly. 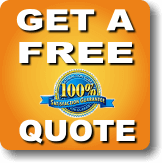 When all factors are considered, using professional Miami movers just seems like the smart choice.